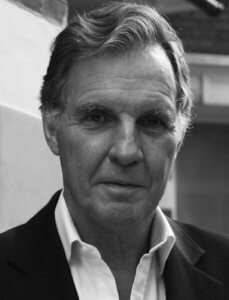 Our patron, Jonathan Aitken, reflects on Lamentations 3:22–23, our theme verse for our 40th anniversary year. Hope in prison is a rare commodity. It is easy to be downcast and depressed when you are at the beginning or in the middle of a sentence. But these great verses show us a route map for climbing out of our glooms and towards the sunlit uplands of God’s grace. Although doing time in prison can be a tough experience, we need to remember that our recent ancestors often had it worse. In the past century alone Britain endured two world wars, long periods of economic depression and unemployment running into the millions. Other civilisations in other eras suffered much more. The Book of Lamentations from which these verses are taken was written in the 5th Century BC, when the ancient people of Israel had been taken into captivity by the Babylonians after the destruction of Jerusalem. In the agony of their exile, the Israelites were engulfed in sadness. And yet…they still remembered their God and His saving grace. So although the book as a whole can read like one long moan of self-pity, there is a turning point. It comes in these verses 3:22–23 which are the theological high peak of Lamentations. The key words remind us that “because of the Lord’s great love” everybody can change for the better because “His compassions never fail”. A verse from the Psalms, which were sung daily by the Israelites in exile, makes this point more clearly: “The Lord is gracious and compassionate, slow to anger and quick to love.” His love includes the forgiveness which God is also quick to grant to those who turn to Him with true repentance and faith. As an ex-prisoner who has received so much of the Lord’s forgiveness, mercy, compassion and grace that He has now made me one of his prison chaplains, I well know how “great is His faithfulness”. This is the promise made in verse 23 and it is combined with the thought that His grace is a gift which comes to us “new every morning”. The fundamental message of Jesus Christ’s teachings is that a new life for those that believe in Him is on offer every day. Our God is a God of second chances and transformed lives. From the Book of Lamentations in the Old Testament to the Sermon on the Mount in the New Testament there is an unbroken line of forgiveness, redemption and grace promised to all us sinners. You are warmly invited to attend our 40th Anniversary Celebration at Westminster Chapel, London, on Saturday 30th March 2019, from 2pm.